Kate Spade was found dead in New York in an apparent suicide, law enforcement officials said on Tuesday June 5th. Spade, 55, who was born Katherine Noel Brosnahan in Kansas City, Missouri, was found in her Park Avenue apartment at around 10:20 a.m. Tuesday. The fashion designer and businesswoman became a household name after she launched her wildly successful eponymous brand in January 1993, alongside then soon-to-be husband Andy Spade. The Kate Spade brand, which got its start in the Spade’s Tribecca apartment, attracted early stockists in Barneys and Fred Segal, but really started to make waves after a Vogue editor spotted the young brand’s offerings at a trade show. By 1998, Kate Spade’s sales were up to $27 million, and its signature handbags, $100 to $400 largely label-less black nylon bags and color-popping striped options, were bona fide “it bags,” alongside the likes of much more expensive and visibly branded Louis Vuitton and Gucci totes. And not only were Spade’s bags likened, in terms of covetability, to those being offered by the brand’s international high fashion counterparts, lookalike versions of Spade’s bags packed the stalls of counterfeiters on Canal Street just as significantly. The brand – and its affordable prices, lighthearted aesthetic and “living colorfully” tagline – expanded from its initial offering of handbags and paved its way to becoming a full-fledged lifestyle entity in the 2000’s, ultimately offering everything from clothing, jewelry, and shoes, to baby items, fragrances, and bedding. After building out their label, the Spades sold the company to Liz Claiborne in 2007 for $125 million. An enormous part of the deal was the acquisition of the Kate Spade intellectual property – including its trademarks, which has become some of the most valuable assets of the brand. 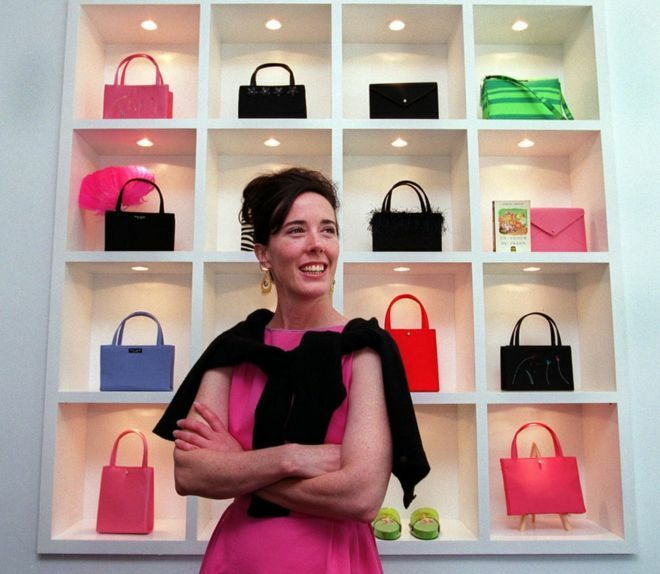 Kate Spade, herself, likely entered into an iron-clad agreement with Claiborne, after she had assigned nearly all rights to the commercial use of her name as a trademark to her company, and the company sold those rights to Liz Claiborne. The agreement likely allowed her to use her name to identify herself personally, but not much more, and certainly restricted her ability to use her name in any fashion or lifestyle related capacity. As a result, when Ms. Spade parted ways with her eponymous label, she surrendered the right to use her personal name in a commercial manner – even though it is her personal name – as such use would infringe the trademark rights now owned by Liz Claiborne, prompting her to rebrand as Frances Valentine – both personally (she legally changed her own name) and in terms of branding – for a new venture in 2016. Frances Valentine, the brand, was not embraced nearly as widely as Kate Spade, the designer’s, initial venture, but alas, it was certainly not devoid of an embrace of color (in the world of fashion, which has a longstanding romance with black) and a lighthearted practicality, just two of the elements that made her eponymous label – and she, herself – a delight for some many. And that is exactly what she will be remembered for. * If you’re struggling with depression, please know you are never alone. You can contact the National Suicide Prevention Lifeline on 1-800-273-8255. International suicide helplines can be found at befrienders.org. This entry was posted in Latest News and tagged Andy Spade, Anna Wintour, Kate Spade, vogue. Bookmark the permalink.